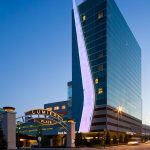 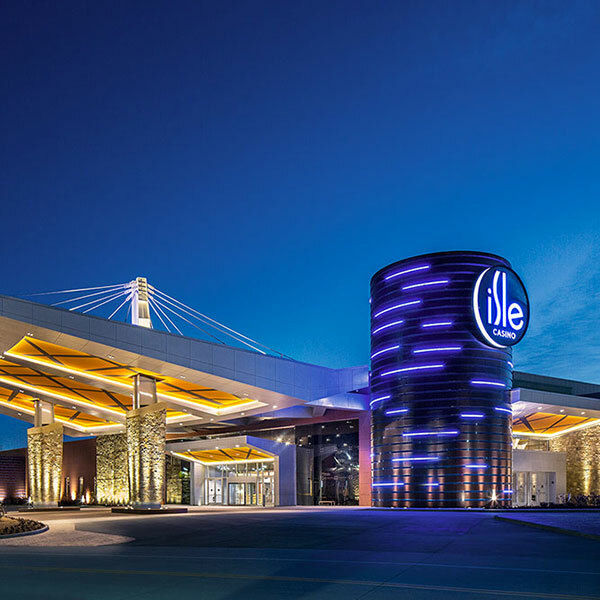 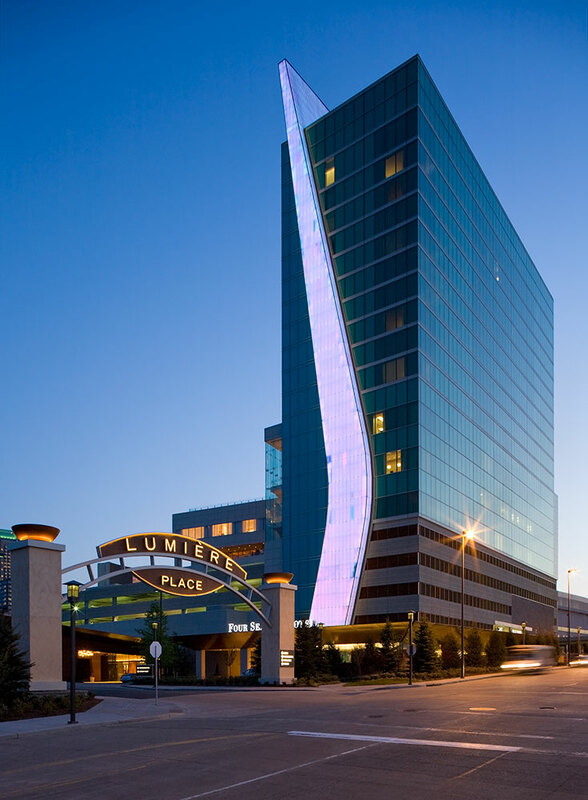 The project’s principal challenge for the lighting team was to support the diverse design goals of a riverfront property that featured both a high-energy gaming facility and a discerning 4-star hotel. 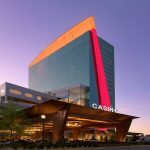 The facility, prominently featured near the Gateway Arch and the St. Louis Downtown entertainment district, features 5 restaurants, 3 entertainment venues, a 75,000 square foot casino, and a 200 room Four Seasons Hotel. 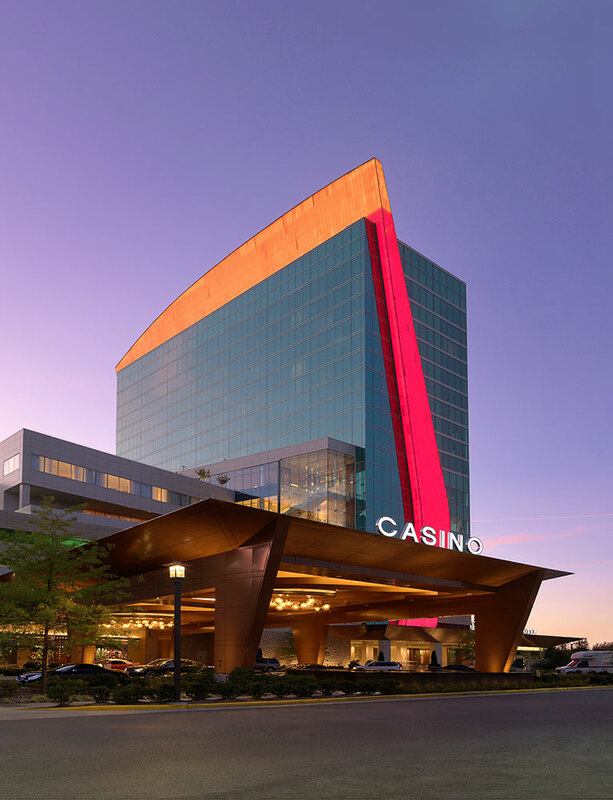 The exterior building facades and site lighting provide an inviting, nighttime appeal for a gaming culture, competing with rival riverfront establishments, while maintaining an approachable decorum for the property’s adjacent high-end hotel. 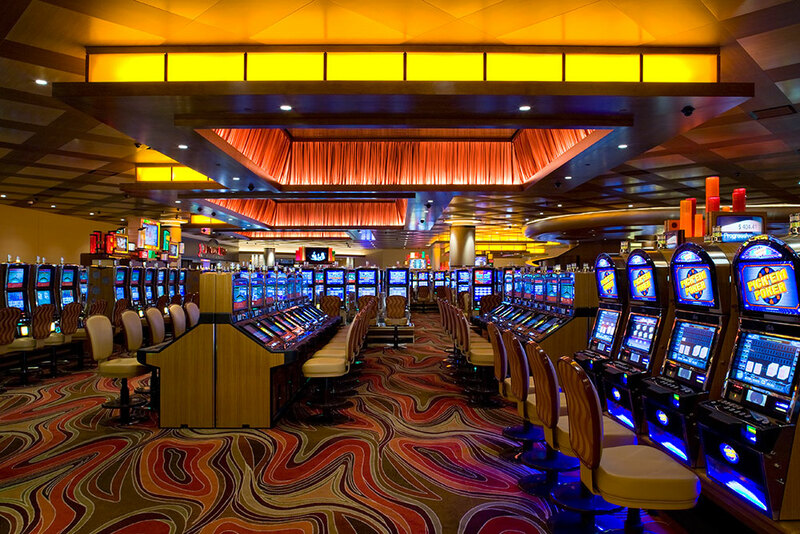 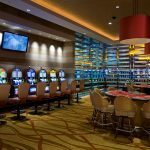 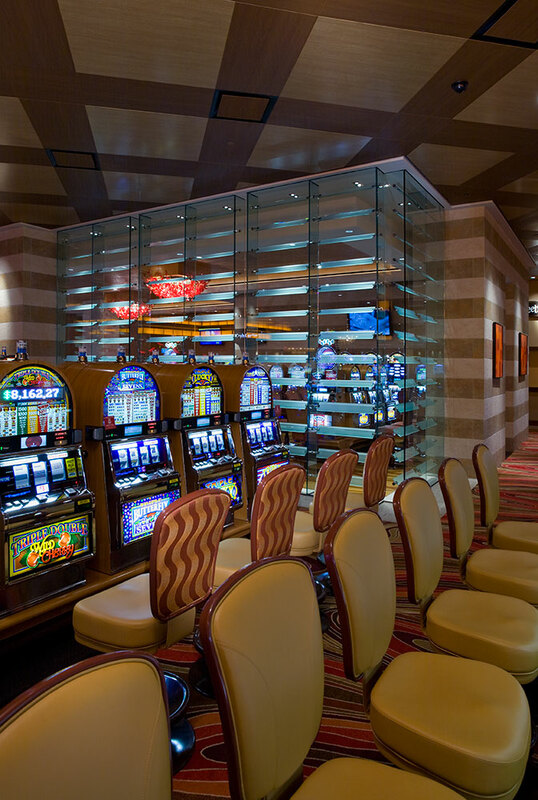 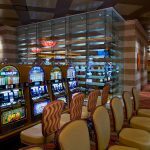 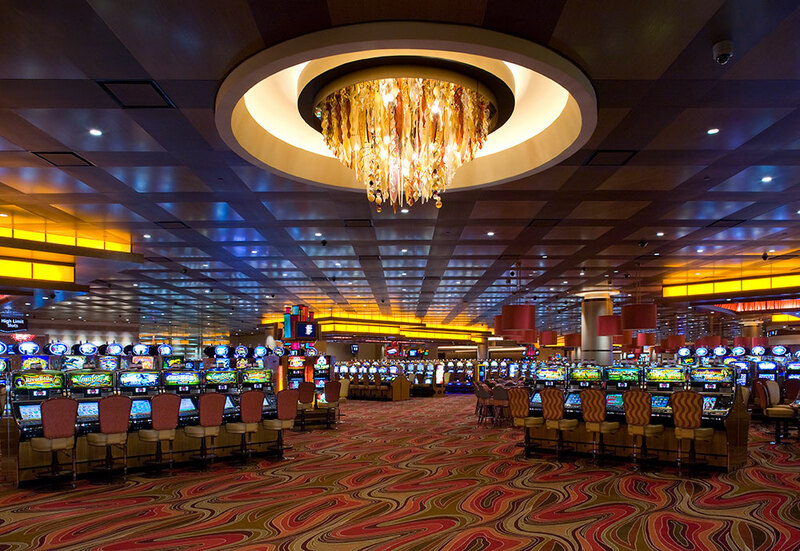 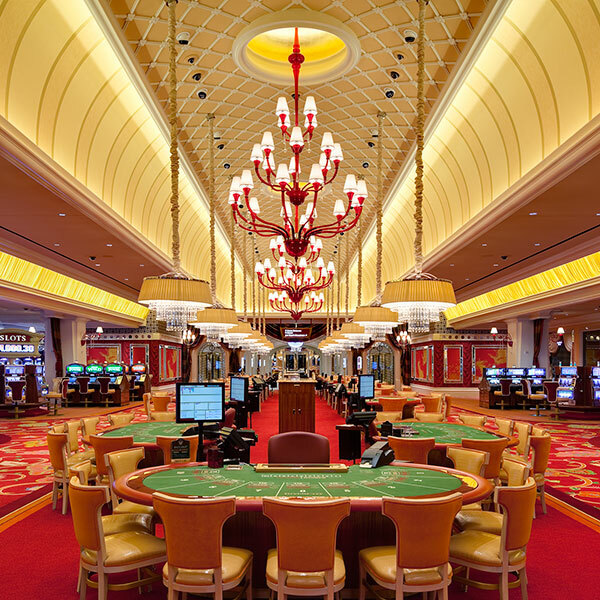 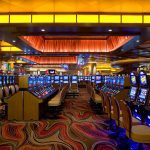 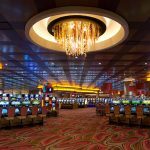 within the casino spaces, the lighting serves both the operation and gaming commission requirements, while emphasizing the dynamic elements of the interior architecture. 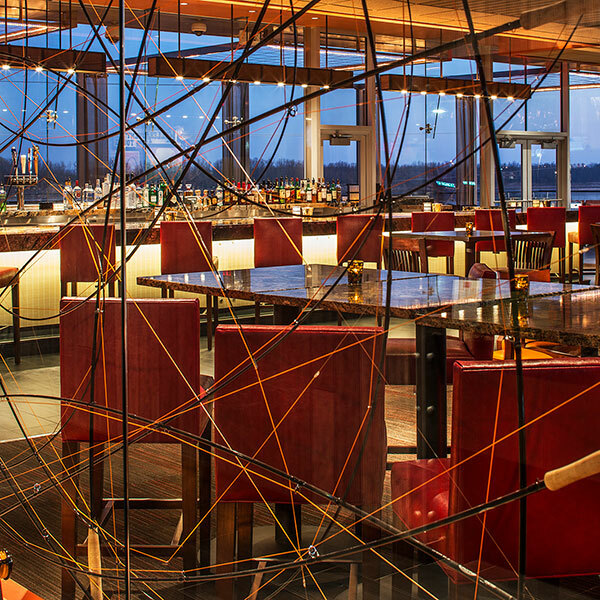 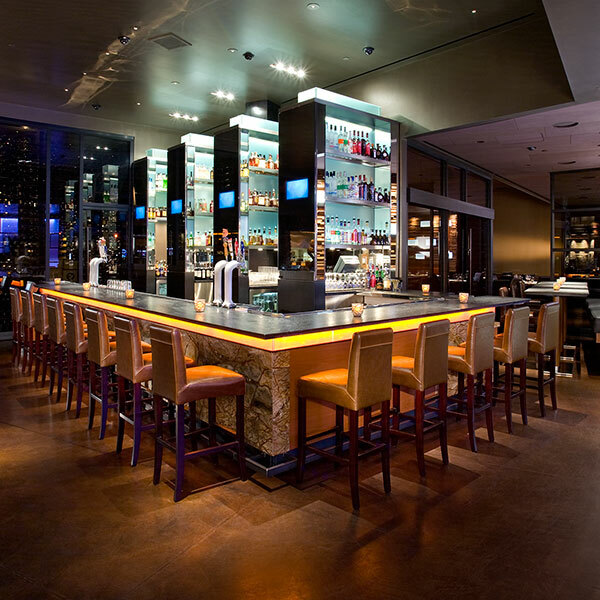 A variety of restaurants and lounge amenities exhibit dramatic lighting, much of which reveals a wide-ranging palette of indiginous materials. 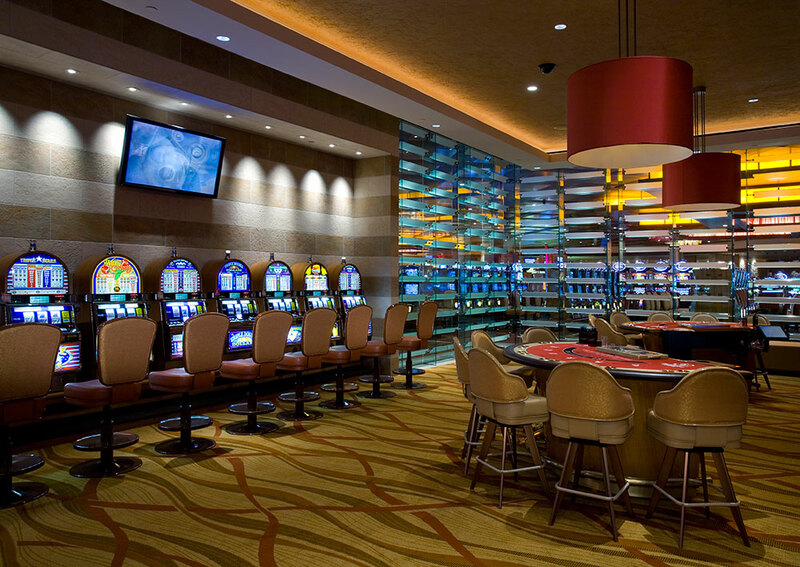 The delicate balance of fulfilling expectations for both the excitement-seeker and discriminating hotel guest is seamlessly achieved.